These all black chairs feature a wood frame, with vinyl padded seat. 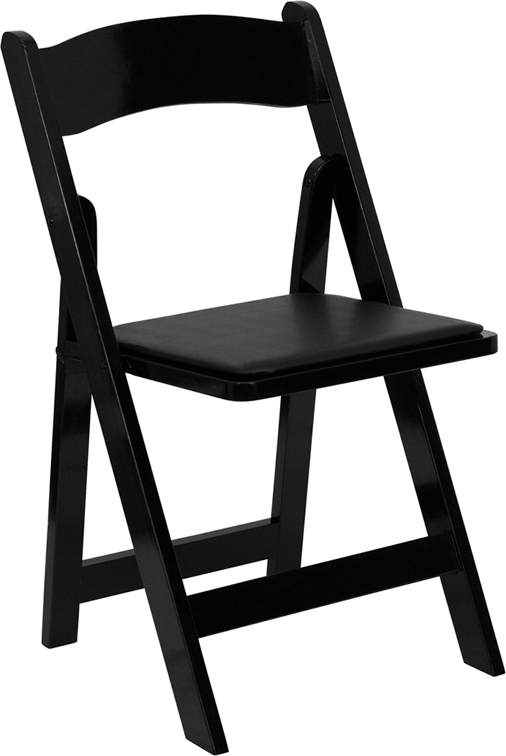 This chair style is very common for outdoor weddings, and events. They are a lightweight, easy to setup, store, and very durable. Great for indoor & outdoor use.